One of only ten manor homes constructed in the resort-style, gated community of One River Place. This beautiful home was custom designed to include striking upgrades and incredible attention to detail. From the stone pavers and storybook iron gate to the hardwood-covered open main floor with stunning dream kitchen, this home is perfectly welcoming. 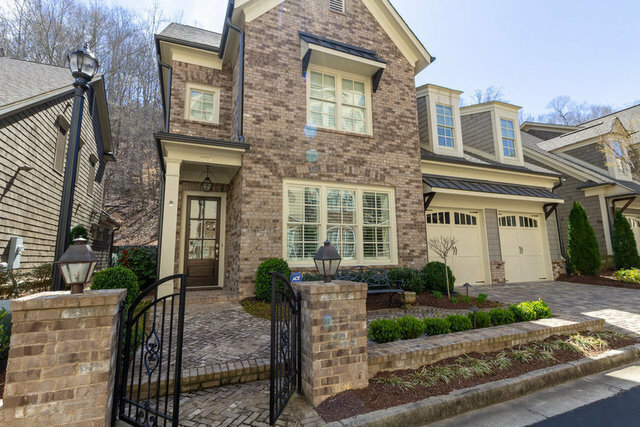 Gorgeous master on main with fireplace and spa bath. Four spacious bedrooms on the second level, and custom movie theater experience on the third. Enjoy access to trails and restaurants, while you live serene by the river.